The end of the eighteenth century saw the start of a new craze in Europe: tiny portraits of single eyes that were exchanged by lovers or family members. Worn as brooches or pendants, these minuscule eyes served the same emotional need as more conventional mementoes, such as lockets containing a coil of a loved one’s hair. The fashion lasted only a few decades, and by the early 1800s eye miniatures had faded into oblivion. Unearthing these portraits in Treasuring the Gaze, Hanneke Grootenboer proposes that the rage for eye miniatures—and their abrupt disappearance—reveals a knot in the unfolding of the history of vision. Drawing on Alois Riegl, Jean-Luc Nancy, Marcia Pointon, Melanie Klein, and others, Grootenboer unravels this knot, discovering previously unseen patterns of looking and strategies for showing. She shows that eye miniatures portray the subject’s gaze rather than his or her eye, making the recipient of the keepsake an exclusive beholder who is perpetually watched. These treasured portraits always return the looks they receive and, as such, they create a reciprocal mode of viewing that Grootenboer calls intimate vision. Recounting stories about eye miniatures—including the role one played in the scandalous affair of Mrs. Fitzherbert and the Prince of Wales, a portrait of the mesmerizing eye of Lord Byron, and the loss and longing incorporated in crying eye miniatures—Grootenboer shows that intimate vision brings the gaze of another deep into the heart of private experience. 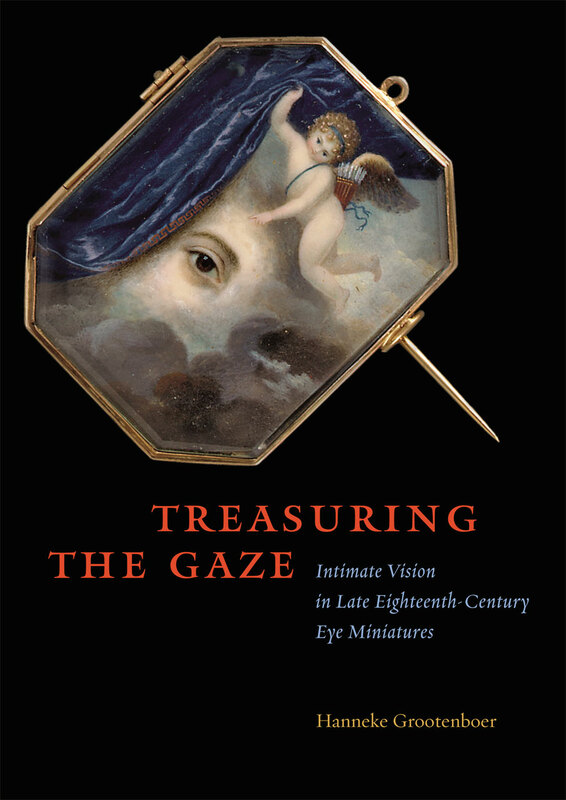 With a host of fascinating imagery from this eccentric and mostly forgotten yet deeply private keepsake, Treasuring the Gaze provides new insights into the art of miniature painting and the genre of portraiture.